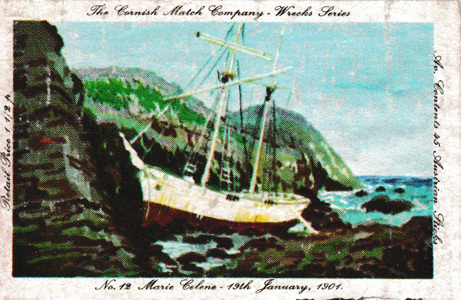 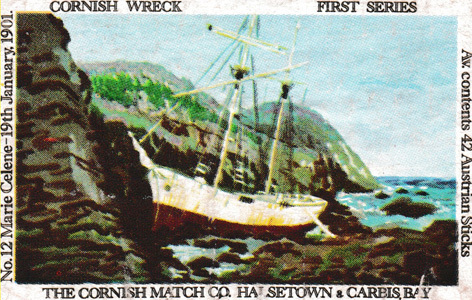 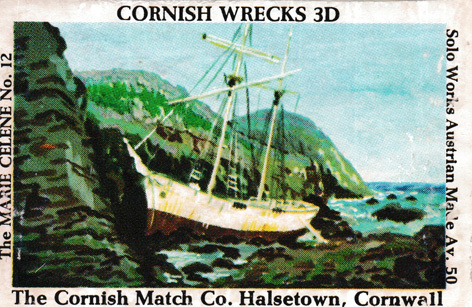 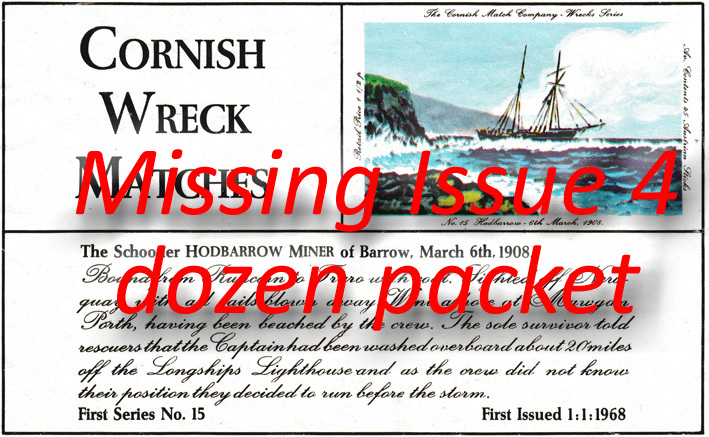 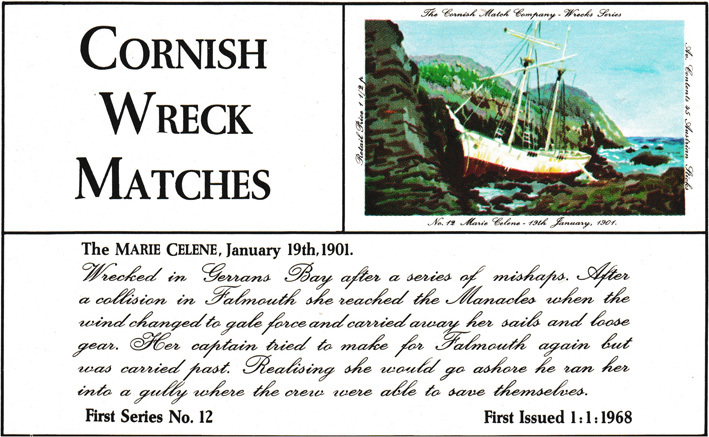 Wrecked in Gerrans Bay on 19th January 1901. After a collision in Falmouth she reached the Manacles where the wind changed to gale force and carried away her sails and loose gear. 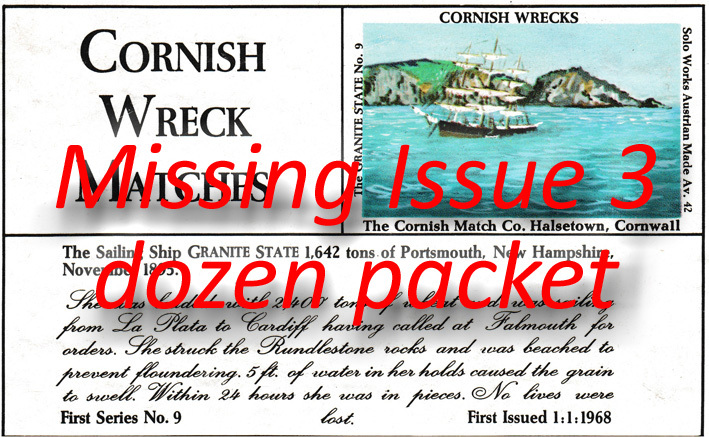 Her captain tried to make for Falmouth again but was carried past.